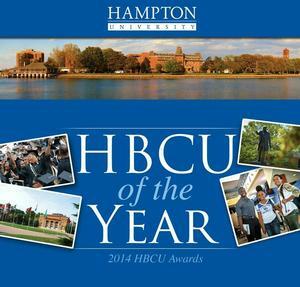 Hampton University was named the HBCU of the Year at the fourth annual HBCU Awards ceremony presented by Dillard University on July 11. The award was one of three of the evening for Hampton, which also won top honors for research and women’s athletics. Also at the ceremony, the Hampton University Minority Men’s Health Initiative was presented the best research center award and the Hampton Lady Pirates Basketball Team was presented the female team of the year award. "Hampton University is among the most distinguished brands in higher education, and particularly in historically Black higher education,” said Jarrett Carter, Founding Editor of the HBCU Digest. “This year, the institution was able to cultivate attention in the areas of public health with the Minority Men's Health Initiative, athletics with a historic fifth consecutive conference championship in women's basketball, and advocacy with Dr. Harvey's continuing presence on matters of access and affordability for all students." The awards ceremony was part of the 2014 HBCU Media Week Presented by Dillard University. The two-day conference drew more than 40 HBCU communications executives, faculty members, presidents, alumni officers and vice-presidents from HBCUs around the country. Highlights from the event included a remote Q&A sessions with Craig Melvin, host and correspondent for MSNBC, and Roland Martin, host of NewsOne Now on the TV One network. "In an era where the public narrative on HBCUs continues to trend negatively, Hampton has been an exemplary model for what HBCUs should be and can be," said Carter.